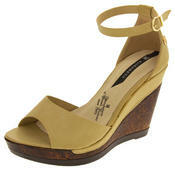 Ladies low wedge (1") wedge shoes, cut out design on the sides of the shoe. 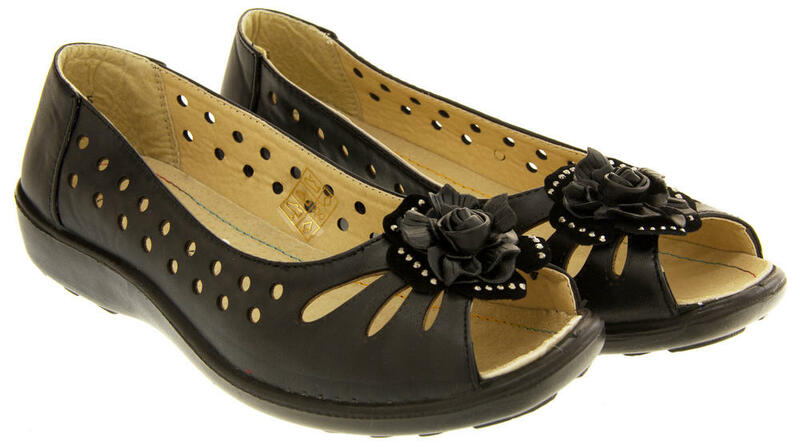 Flower on the toes with diamante detailing around the edge. These stylish and fashionable shoes are perfect for ladies who don't want to wear high heels but still want a little more height, they are built with fashion and comfort in mind.